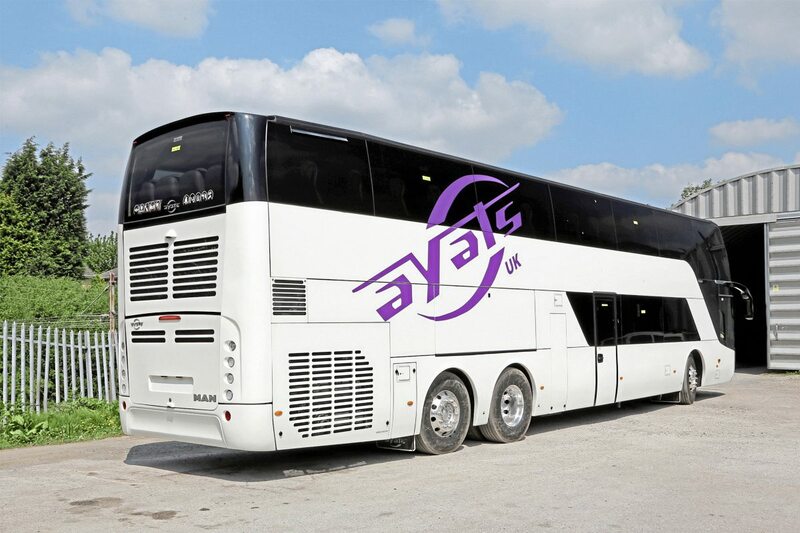 Recent years have brought mixed fortunes for Ayats in the UK but a revival of the brand is now underway with the establishment of Ayats UK Coach Sales Ltd. The driving force behind the new organisation is Dave Nickson, owner of the Elite Group and former manager of the Ayats brand at Anglo-American, the successful dealership which folded in 2002 for reasons unconnected with Ayats or its products. 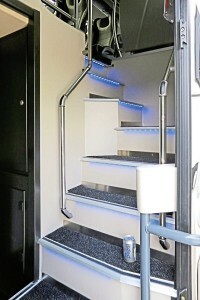 After an approach from the Spanish company, Ayats UK Coach Sales was formed at the end of July 2016, its objective according to Dave being, ‘to promote the Ayats body on chassis product.’ Ayats work with a number of chassis manufacturers as well as building their own integral product so whilst the initial UK activity has been based around an MAN product, Dave has secured agreement with Scania to sell the initial core product, the Eclipse double decker, on their chassis as well, opening up the Ayats product to a wider range of customers. The arrival of the first right hand drive demonstration vehicle in February marked a further milestone in the company’s development. Dave had closely watched the progress of the MAN based Eclipse through the Ayats factory and ensured that the specification provided a feel of luxury and elegance whilst also incorporating a range of options likely to be of interest to the UK and Irish markets. 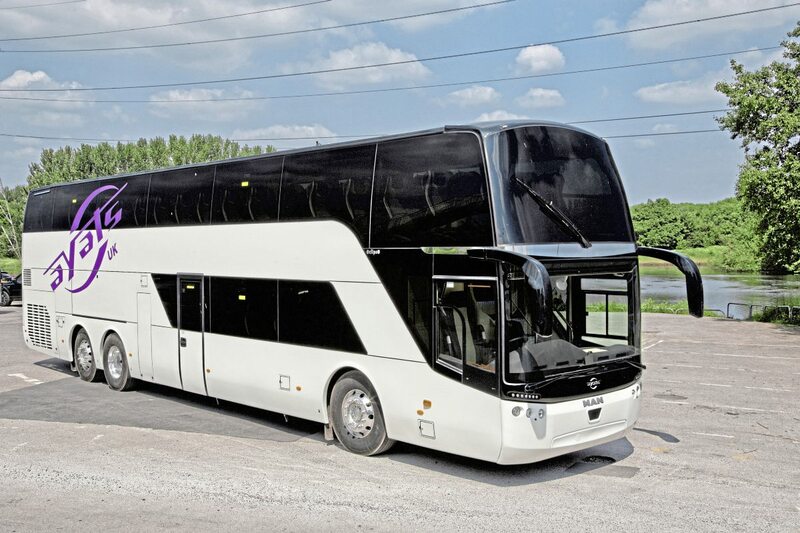 Since its arrival, it has kept very busy being shown to operators across the length and breadth of the country as well as appearing in the trade area at the UK Coach Rally in Blackpool. 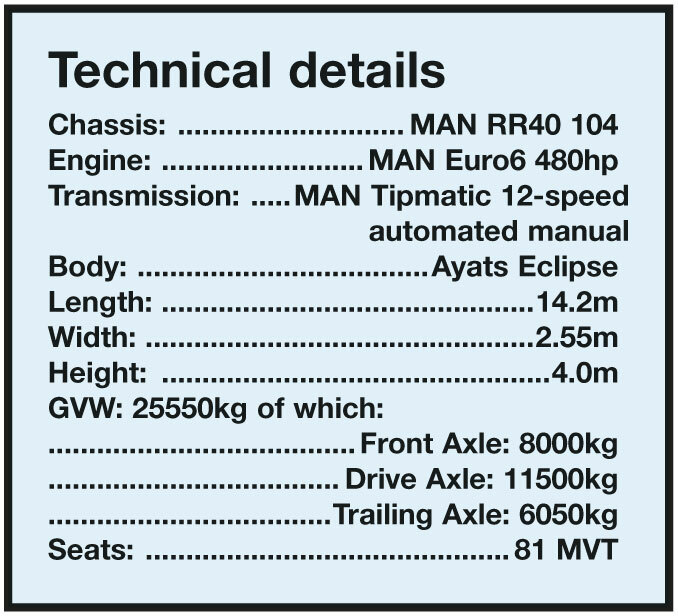 It will shortly be approved under the IVA regulations and registered for service. 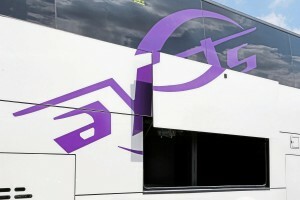 The Eclipse double decker coach on MAN or Scania basis is the initial product to be offered by Ayats UK Coach Sales. It will be available in a variety of length options (see table) and to a standard specification generally similar to the initial demonstrator described later. 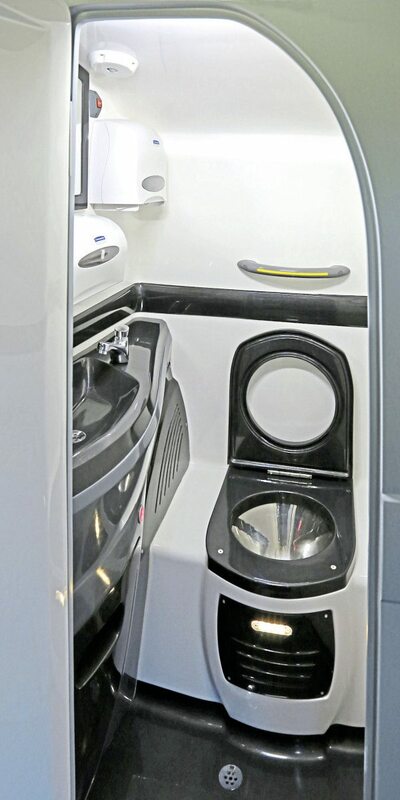 The additional door on the offside of the lower saloon of the latter, reducing capacity by two seats, is however an option and specifically included to meet the needs of the Irish market. A further access option is the provision of wheelchair access and anchorage using the centre nearside door. 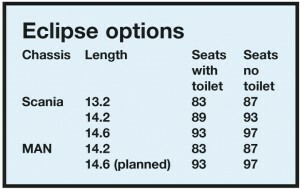 It is intended to offer the Eclipse primarily with MVT seats although there will be an option for other manufacturers. Seat trim can be in moquette from Epengle, leather from UEG or E-Leather. Dave said that the lead time for a vehicle ordered to a customer specification would be around five months although there were a number of stock vehicles in production. These were 14.2m 89 seat Scania based examples which he described as ‘offering the best value in their class at around 360k depending on the warranty options chosen.’ Customer orders have also been taken already for Scania based examples. 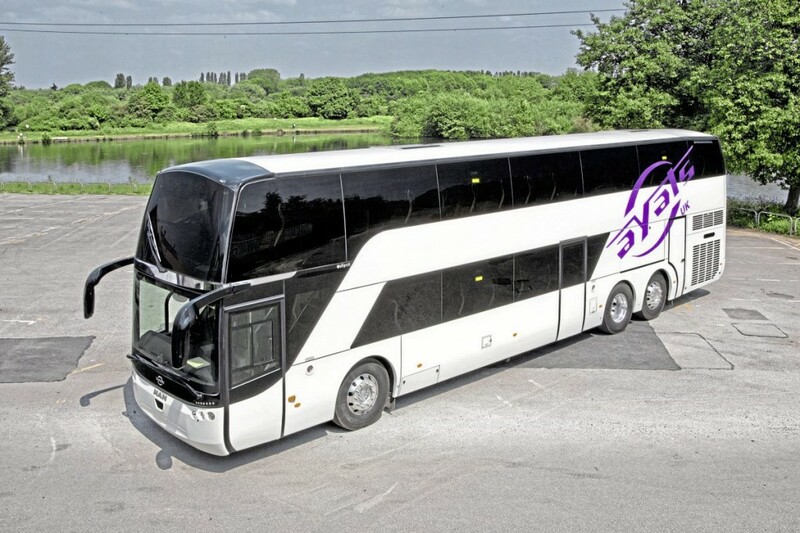 Following the establishment of the Eclipse, Ayats UK Coach Sales will look to add the two Ayats single deck coach products to their portfolio, based on MAN chassis. These are the Kronos high floor coach and the Spirit overdecker. Both are currently offered in Europe at lengths up to 15m with seating capacities up to 67 and 70 respectively. 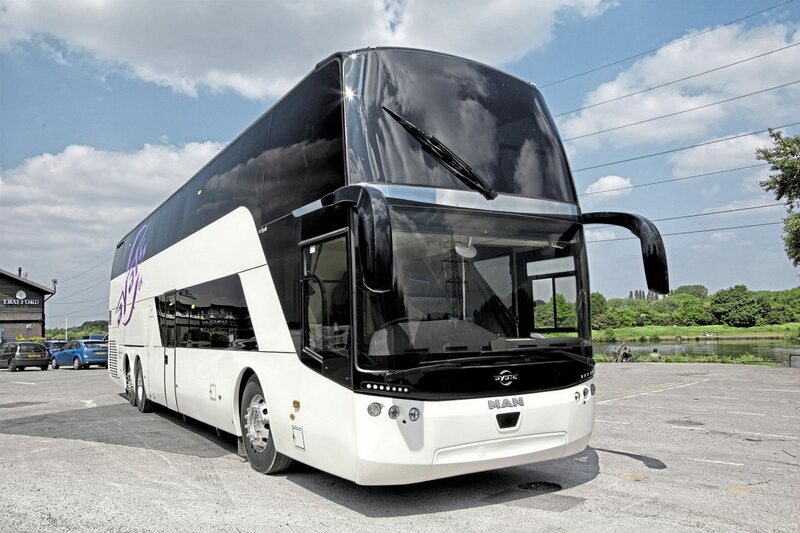 One Ayats product that has met with some success in the UK during the past decade or so is the Bravo 1R City, an open top double decker for sightseeing operations based on the Bravo coach design. The first examples were mounted on Volvo chassis but the latest are full Ayats integral vehicles supported by Ayats UK Coach Sales. 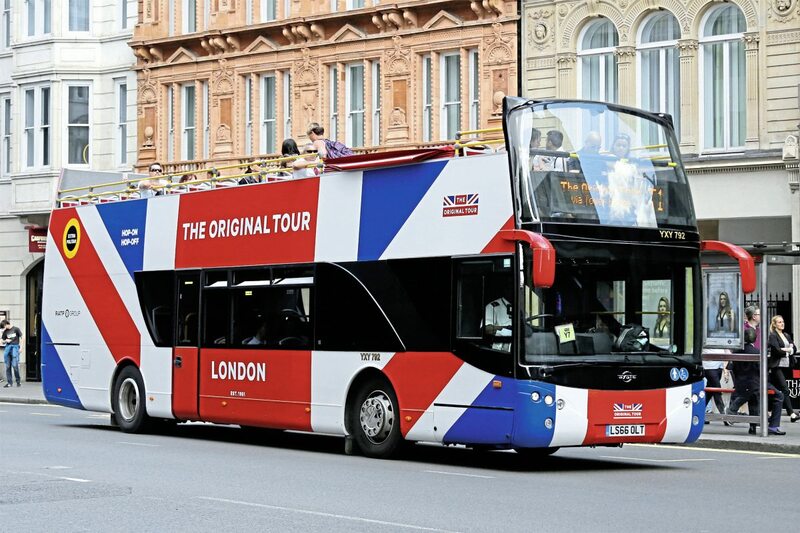 The most recent delivery at the end of 2016 comprised four vehicles with Mercedes-Benz engines for RATP owned ‘The Original London Sightseeing Tour’. These low floor vehicles seat 75 with 57 in prime position on the upper deck. At the recent FIAA, Ayats showed the first example of their full electric integral double deck sightseeing bus using Actia electrical equipment. 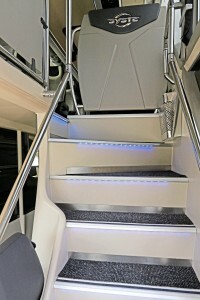 The three axle twin staircase model shown had rear mounted Nickel Manganese Cobalt (NMC) batteries with a capacity of 300kWh. With a consumption estimate of 2.3kWh per km, the range is expected to approach 150km. 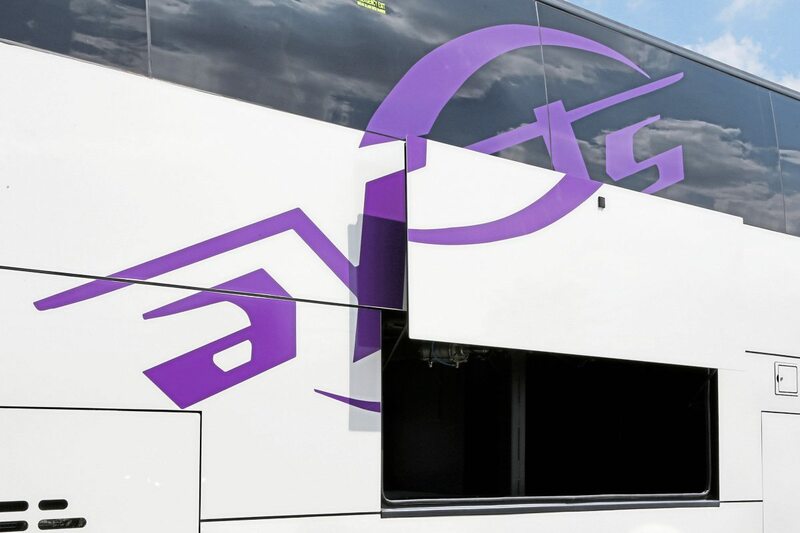 The initial vehicle will be trialled in Barcelona but development work on a two axle version is progressing with the London market as the obvious target in which Ayats UK Coach Sales will be engaged. Bus and Coach Buyer will bring you more on this vehicle in a forthcoming issue. Ayats have also supplied double deckers to UK operators for special purpose uses such as band buses and this will continue through Ayats UK Coach Sales, supporting both right and left hand drive vehicles. 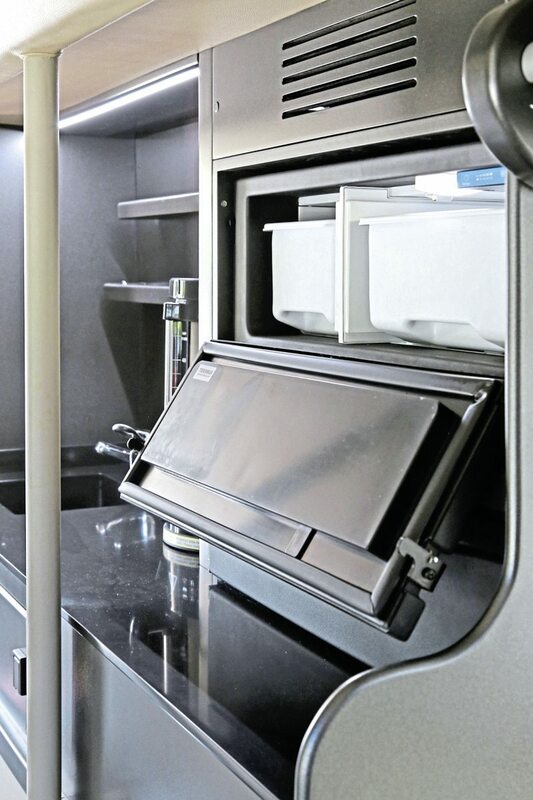 One area of activity that is already growing rapidly for Ayats UK Coach Sales is the provision of back up services and manufacturer original parts for Ayats products already in the UK. Parts support has also been sourced for earlier models such as the early Bravo 1 where these are no longer normally stocked at the Spanish factory. To support new vehicles sold, it is intended to establish a parts stock including a full set of glass at Stockport with quick replenishment support from Spain. Moving forward, a preferred glass supplier will be appointed to widen availability. With the new vehicles being chassis based, support will be available through the chassis manufacturer although Ayats UK Coach Sales currently has its own technician supporting the IVA process and is training someone on the bodywork side. It is Dave’s intention to grow the support team as sales increase. 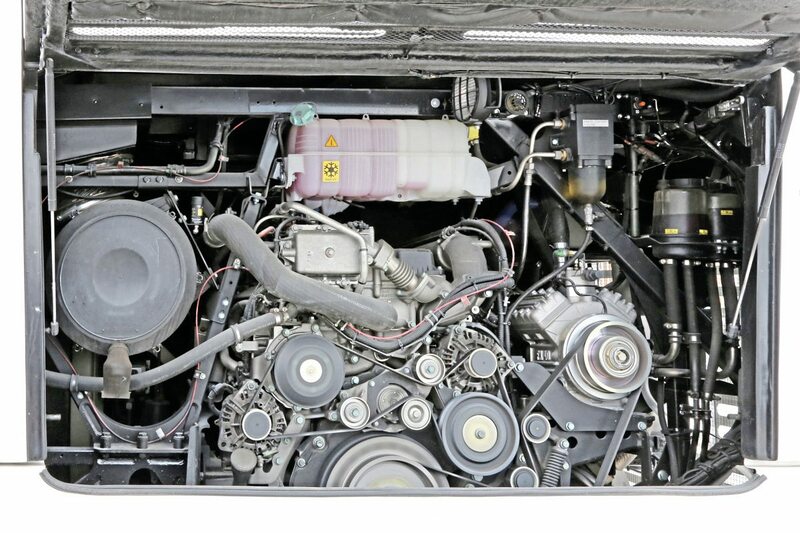 Ayats UK Coach Sales has developed a warranty package for the whole vehicle in conjunction with Fleetband. 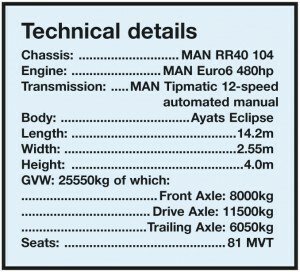 This builds on the appropriate chassis manufacturer’s warranty for its product (currently four years with Scania, two with MAN) together with Ayats own first year warranty, adding the Ayats’ elements of the product for the second year upwards and offering the potential for extension up to seven years based on customer requirements. The warranty product offers cover for defined components up to a maximum value, both annually and over the life of the warrenty, from year three onwards. Based in Camberley, Surrey, Fleetband Warranty Services is a recognised provider of warranties complying with the Motor Industry Code of Practice for Vehicle Warranties. It is a division of MBi Autoguard Warranties, a member of SMMT. In support of selling new vehicles, Ayats UK Coach Sales will take pre-owned vehicles in part exchange although Dave stresses that it is not his intention to build up a stock of high value vehicles. The objective will be to sell vehicles on quickly, either as seen or with an appropriate 12 month warranty. 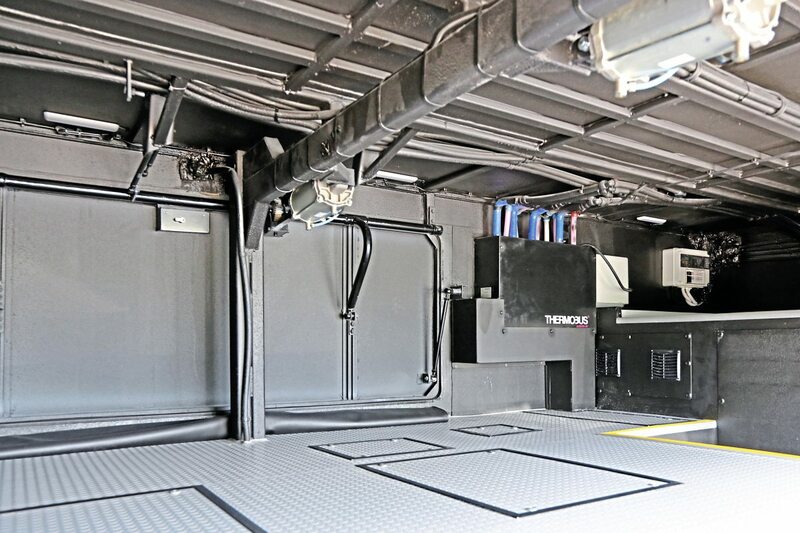 Currently being shown to operators, the demonstrator is based on an MAN RR4 chassis with 480hp MAN engine and Tipmatic 12 speed automated transmission. 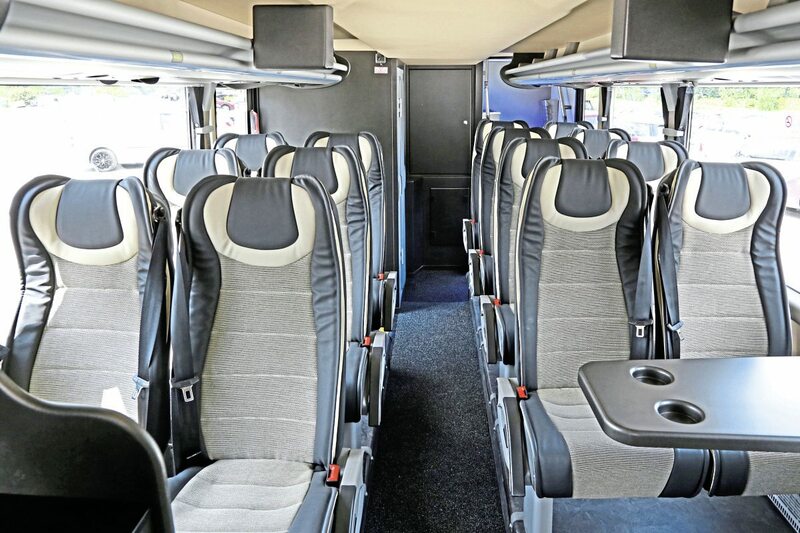 It has 81 fabric and leather trimmed MVT reclining seats with integrated grab handles, armrests, tables with cupholders and three point seat belts, 16 of them on the lower deck. Two pairs on the lower deck face a table with cupholders and a pair of seats has been deleted to suit the Irish requirement for an offside exit. 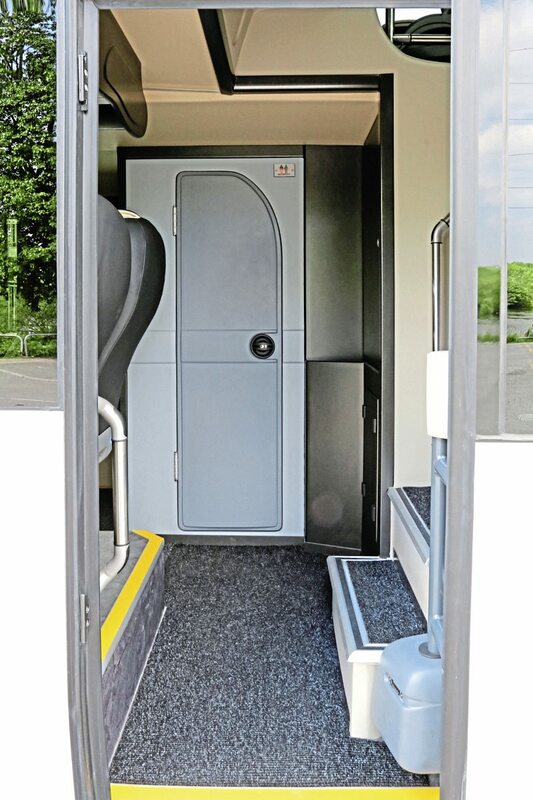 A fold and swivel courier seat is installed in the gangway immediately aft of the front entrance. The optional toilet is situated opposite the centre entrance. 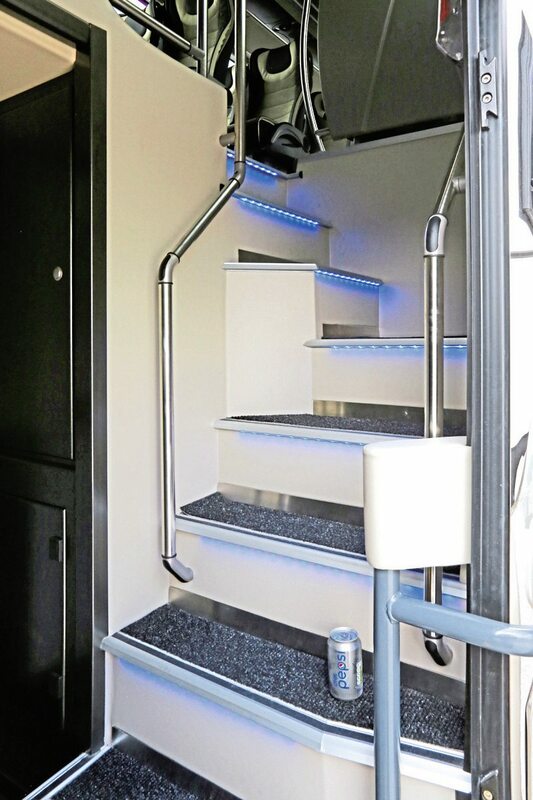 The upper deck is reached by two wide staircases on the UK nearside equipped with blue edge lighting and a stainless steel litter bin on the midway landing. 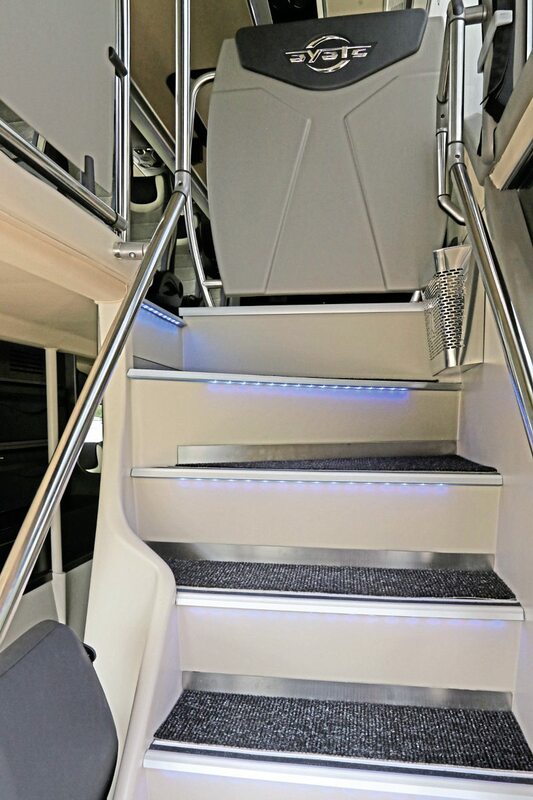 There are individual LED lights and USB points for each seat, additionally, there are four 240V sockets, two on each deck supplied by an inverter. 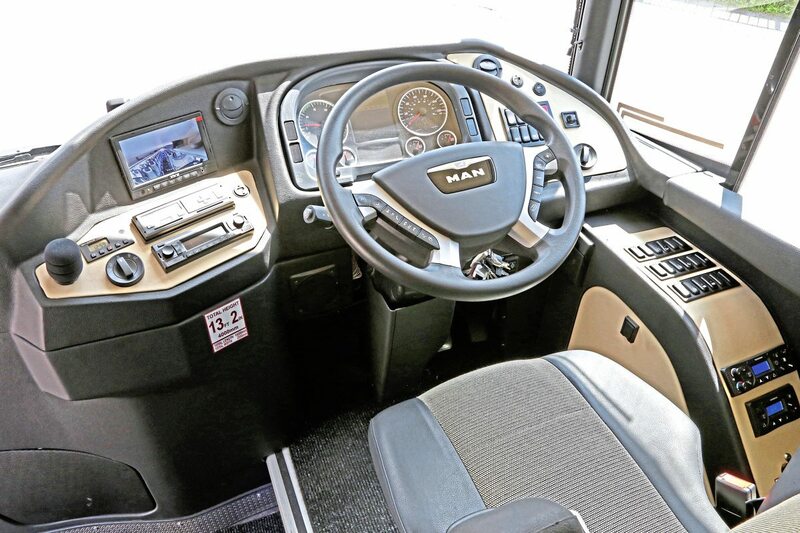 Six monitors, four of them luggage rack mounted, support the entertainment system and there is a full CCTV system with a monitor for the driver. 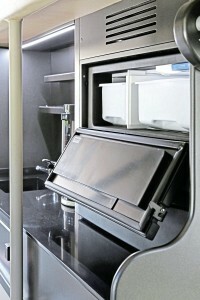 A full servery including fridge and sink is installed over the front offside wheelarch. 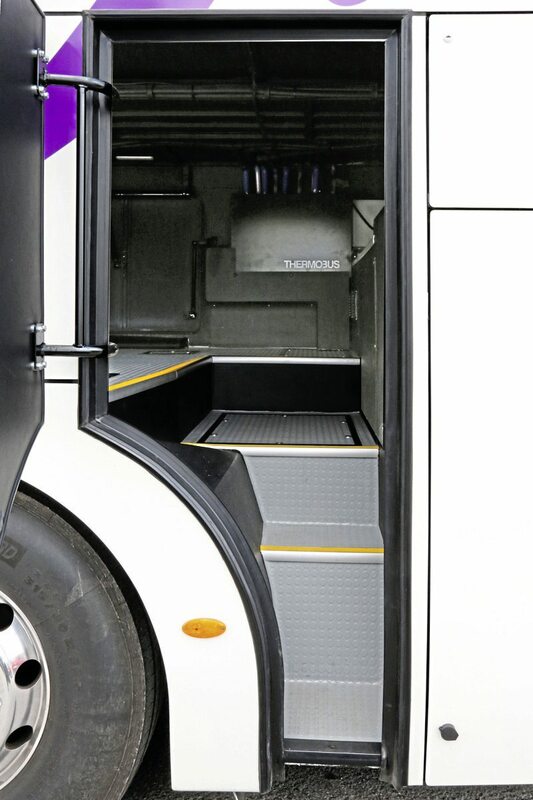 Externally, there is a door behind the nearside wheels to access the 16m3 luggage bay in addition to large powered vertical locker doors on each side. The bay also provides access to elements of the Thermobus air conditioning system. 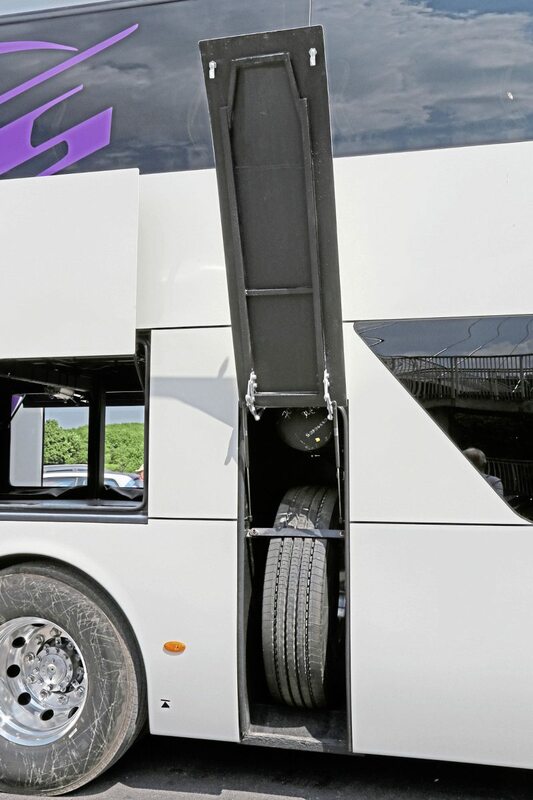 A further external door on the offside accesses the spare wheel stowage and air receiver. The Alcoa Dura-Brite alloy wheels are shod with Michelin X MultiWay 295/80 R22.5 tyres. 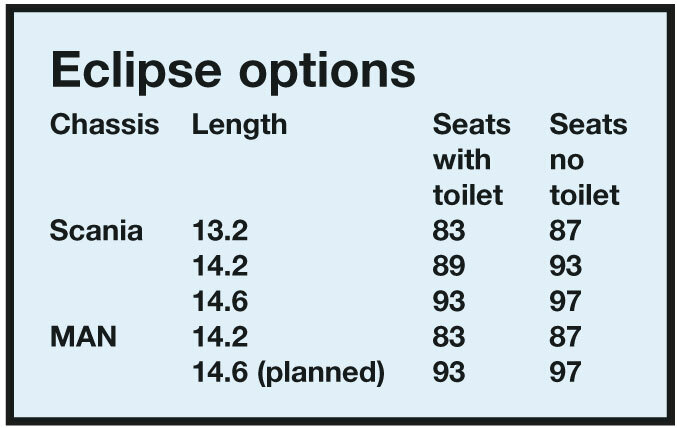 A distinguishing feature of the Eclipse is the extensive use of tinted double glazing to clad the stainless steel frame. This is especially notable at the front where it drops down almost to gangway level, delineated from the windscreen by a narrow stainless steel band. On the road, the Eclipse provided a smooth and stable ride, particularly at higher speeds on the M60. 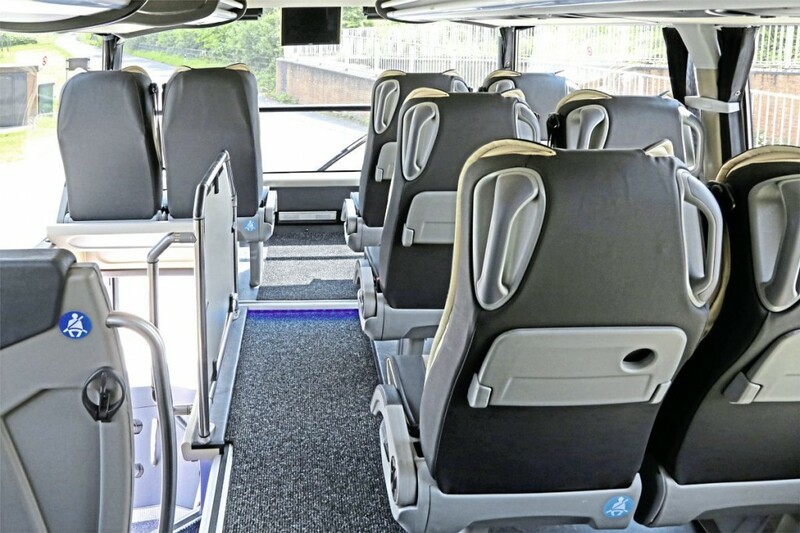 Off the motorway, the ride was as smooth as could be expected given the plethora of speed control measures that are a feature of the roads between Ayats UK Coach Sales HQ in Stockport and the Elite Services office in Sale, Trafford. The demonstration run took place on what was, at that point, the hottest day of the year so far and demonstrated how effective the air conditioning system was in reducing the interior temperature to a comfortable level after a period where the vehicle had been standing with all doors and accesses open. Dave is committed to the success of Ayats UK Coach Sales which he stresses is a fully focussed activity and not, as in several recent incarnations, an aside to the principle operations of the companies involved. Having known the Ayats family for a long time, he says they know they have made mistakes in recent years but they want to be in the UK and believe they can do well here like they did in Anglo-American days. Recognising the challenges of re-establishing the brand, Dave says, ‘I am going to deliver, Ayats have been at the forefront of helping me get to where I want to go. I am not saying it won’t be difficult but I am going to deliver what the customer expects.’ He is eagerly awaiting the Scania based Eclipse demonstrator for which he says there is already a long list of potential customers wishing to take a look. 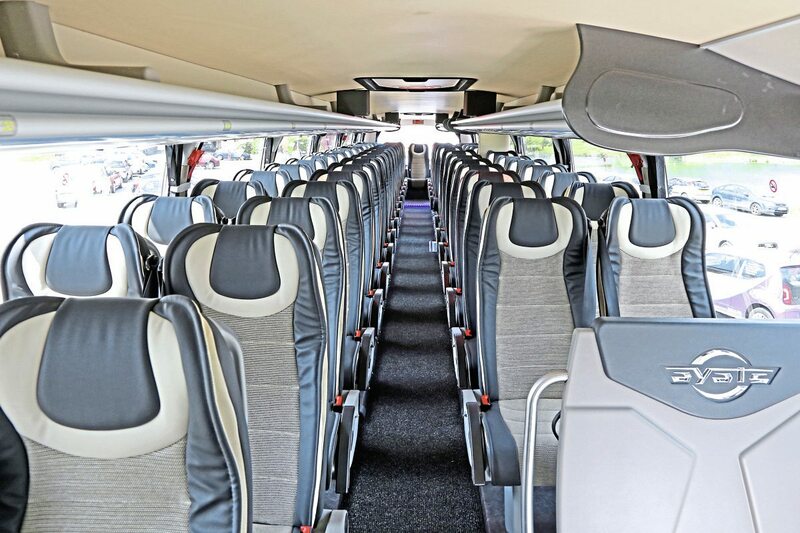 To be exhibited together with another, still to be confirmed, vehicle, the Scania Eclipse combination will be formally launched at Coach and Bus UK 2017 in October where Ayats UK Coach Sales will have an indoor stand. Dave’s intention also extends to improving the customer and potential customer experience of the Ayats brand, starting with a new website (www.ayatsuk.com) which, he says, ‘gives a flavour of the way we are trying to do things.’ The customer service focus will also extend to the new vehicle handover process which he considers, from his own purchasing experience, is sometimes lacking.